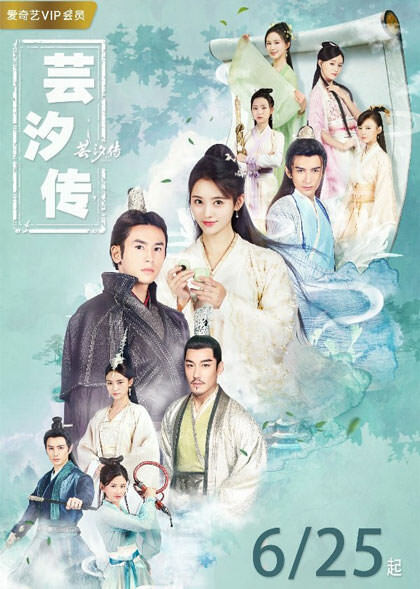 Summary : The story follows a lady doctor (Han Yun Xi) who marries into the royal family and gets caught in the political machinations in the palace whilst she falls into a romance with her husband. The story takes place during a chaotic time when the land has split into three kingdoms – Tian Ning, Western Zhou and Northern Li. The Emperor of Tian Ning is cunning and distrustful, and fears his own subordinate Long Feiye. To dampen his spirits, the King arranges for Long Feiye to be married to an “ugly” woman named Han Yun Xi. Han Yun Xi is a kind and talented woman who comes from a medical family and is adept with poisons. She is also forced into obeying the decree of the king and becomes a royal consort in name only. However, circumstances allow her to show off her skills time and again, winning the admiration of Long Feiye. At the same time, she also forms a friendship with Gu Qishao (Master of Yao Gui Valley). Note : I Checked The Embedded English Subs and They Are Garbage. Use The SRT Files for Subtitle. Note 2 : filenames till episode 30 are wrong. all episodes are 720p x265. it’s 720p x265. filename is wrong. please reupload, except for the first couple links the rest are not working. Thank you very much.